We now have a Mercedes Sprinter, delivered on 12th February 2015. It is a 17 seater Mercedes Sprinter, with 14 removable seats in the rear (to allow us to take 5 wheelchairs) converted to add a tail lift. It had its first trip to Hounslow Phab for an Art and Crafts day on 14th February 2015. We look forward to many happy times with it. 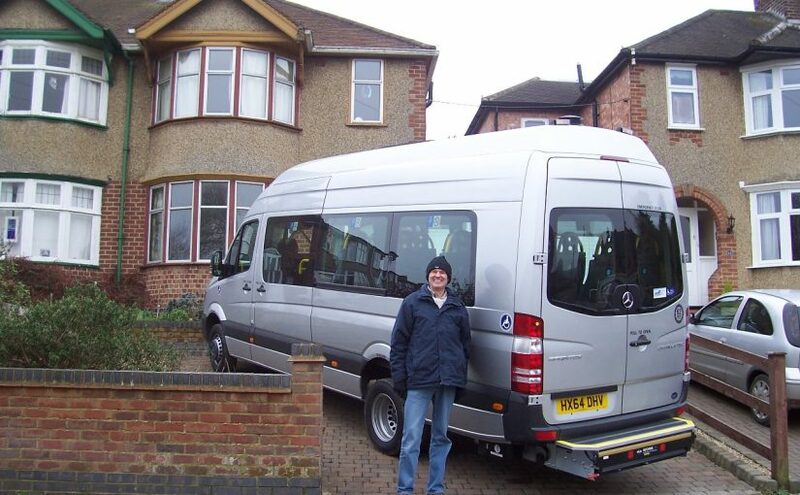 The Phab Minibus is a large vehicle. Drivers, be prepared for height, and width restrictions and problems finding a sufficiently long parking space. hi my names is steph. i heard about your club through my day service in wolvercote and am interested in coming to it with my boyfriend shane as well. i was wondering if you could send me some more details and if there is transport available that we could use? We do transport for some members on a Friday night. I will email you with further information.